Marbles have been around since the 1950’s. Of course, now, it’s fun to shot marbles across the floor and try and knock your opponent’s out of a circle drawn on the blacktop in chalk, but it's even more fun to watch them travel down a chute that you’ve created and built. Not only are marble runs these days a great source of fun for kids of any age but it’s also a wonderful way to teach your children about gravity and the laws of physics. We narrowed down our list to the top 10 highest rated products that we know your child will love. We also made sure that each product was available and that there was a little bit of a variety to choose from. There are many reasons why such a play set is adored not only by kids but by adults as well. For us, it’s the sheer number of configurations that needs to be explored. For kids, it’s the challenge of building something they can enjoy later on that is really fascinating. STEM (science, technology, engineering, and math) learning is crucial in its role in the development of a child. This marble run presents your child with the challenges of physically building this three-foot run, while also giving them the mental challenge of processing how each section works and how it will factor into the big picture. One of the most trusted names when it comes to marble runs is Marble Genius. 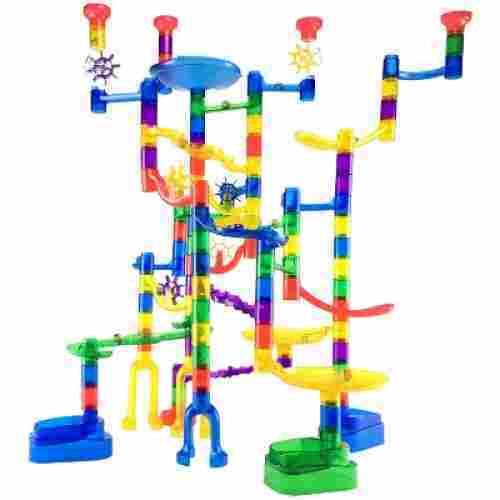 And it really is not so difficult to understand why hundreds of very satisfied customers all around the globe consider the Marble Run Super Set to be one of the best if not the best when it comes to these types of toys or playthings. Each piece of the play set is beautifully constructed and designed like some marvelous jigsaw puzzle that your child will have to build. The added bonus is that, unlike jigsaw puzzles, this type of toy is more like a Lego construction and building play set as it can be configured in so many different ways. This allows children not only to have fun but also help them enhance a variety of their developmental skills. 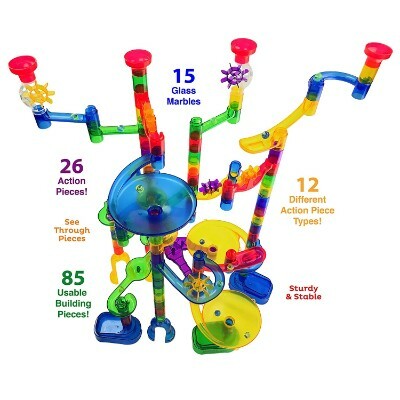 Just the opportunity to build something in a variety of ways is already enough reason to get the MindWare Marble Run. If any, its easy-to-stack feature make it a superb play set for young kids who would like to build their very own multi-level mini ball slide. The MindWare Marble Run has a slightly different approach to enjoying one of the most fun activities you can have as a family. Instead of having the 103 pieces of the play set constructed of translucent materials, MindWare chose to go opaque or in solid colors. With each twist and turn across the different chutes, merry go rounds, drop-throughs, and even spinners, this MindWare creation is sure to bring a whole lot of fun to all members of your family. 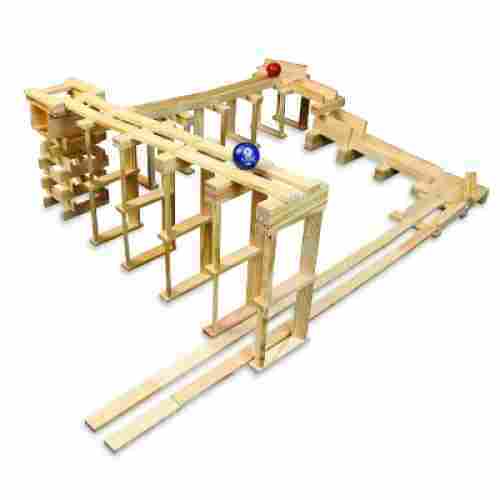 This well constructed marble run by MindWare is designed for kids to create dozens of paths for their marbles. Durably made, the pieces will not break as they firmly interlock to aid in sturdiness. The MindWare Marble Run can introduce kids to a variety of things, such as: problem solving skills, logic, fine motor skills and simple physics. This set even comes with a sturdy box that has a carrying handle, making it easy to travel with and to store all 123 pieces (20 marbles included). Contraptions provide a great way to encourage your child’s creativity and imagination while through building while also introducing early physics concepts. 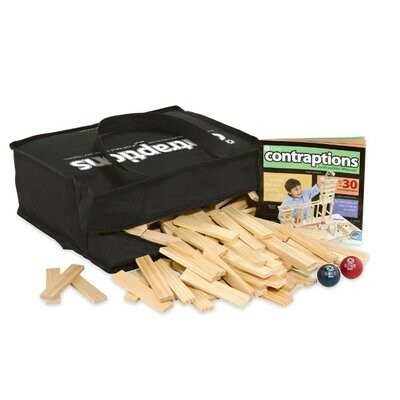 Contraptions introduce early concepts of physics, balance, and geometry as your child receives a hands-on building experience every time they stack and construct. Creating intricate shapes and designs for their runs is an ideal way to foster imagination, strategic thinking, and problem-solving skills. Manipulating the small blocks also builds hand and grip strength while enhancing fine motor control. Marble runs are a fun way to introduce physics and engineering concepts at a young age but they have two big issues that can make them a difficult purchase choice for mom and dad. First, they are a set design which can get boring after a while. 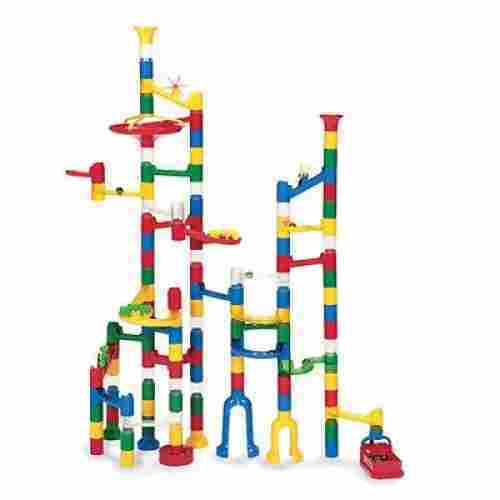 Some marble runs have the option to slightly modify their design but many only have a few configurations available. Secondly, they are HUGE! Marble runs can be notoriously difficult to assemble and once you’ve sacrificed all the blood, sweat, and tears to get it standing it's unlikely that you will want to put it away anytime soon. Many families like adequate space to store an assembled 4-5 foot toy! With Mindware Keva Contraptions both of these issues are resolved using its patented block style design. 400 wooden blocks await your child’s steady hands. 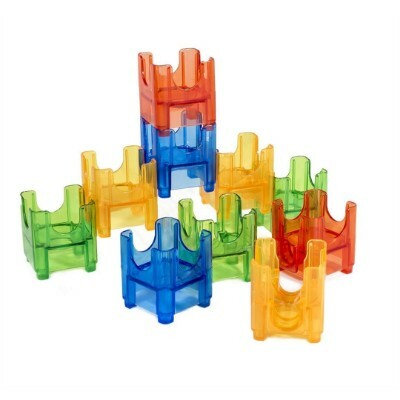 They can use the included design suggestions to form one of over a dozen different marble run shapes or design their own. There are thousands of possible connections and forms for them to choose from creating a unique build experience every time they play. Once playtime is over simply disconnect the pieces and store them away in the included zippered bag. No mess or giant toys to try to store! The Tumble Trax offers a very different yet truly entertaining twist to a classic game. 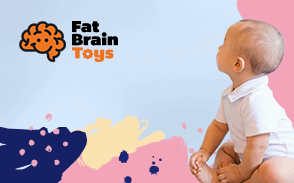 At any rate, your child will be able to harness his or her true cognitive potential. 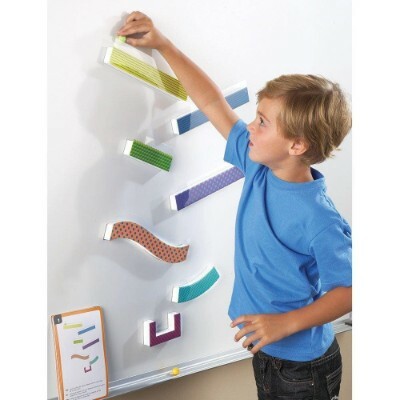 Magnetic marble runs are so much fun because they can be played and connected on nearly any metal surface that they’ll stick to and are easily moved and altered. This set provides a great experience with STEM learning as well as activity cards as an extra-added bonus, which will keep the fun going for hours as your children arrange and rearrange their runs to complete the card challenges. It comes with 10 activity cards with drawings of how the pieces can be arranged to achieve the desired ball movement effect. All your child needs to do is to follow the arrangement of the pieces as drawn in the activity card. You can simply look at the activity cards as a training manual for your child. Once he or she has mastered the basics, your child can then create his or her very own configurations. The point is, by manipulating the arrangement and positioning of each piece, your child will be able to effectively control the movement of the 4 marbles that come with the set. While it’s true that a marble run can help your child to develop his or her cognitive skills, we found a more effective plaything that can really elevate your child’s ability to solve problems. 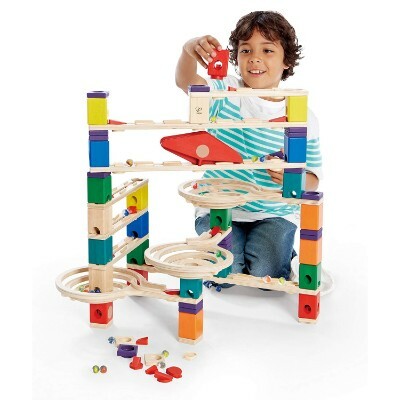 We’d like to introduce the Tumble Trax Magnetic Marble Run. This is a really ingenious take on the classic. There’s no stacking of tubes. The number of pieces don’t even reach 20. The Tumble Trax comes in with a mere 14 pieces of duly magnetized foam pieces which, as the name implies, your kid will have to place on a metallic surface like your refrigerator door. What makes the Tumble Trax really different is that it is more like a puzzle than it is something to build. Build on the fridge, the whiteboard at school, or even an old oil pan in the garage, the possibilities are endless! The Tumble Trax makes an ideal hands-on learning toy for preschools and daycares as its magnetic surface can quickly and easily attach to whiteboards for group or individual play. Manipulating the foam pieces strengthens hand-eye coordination as well as fine motor skills. Ten activity cards are included with this set that features design challenges at varying skill levels to provide your child with ideas and introducing a gameplay aspect to the build. Creativity is rewarded with the fun of watching the plastic ball slide and tumble towards the ground as your toddler puts their strategic thinking skills to the test. Marble runs introduce STEM learning concepts such as physics and engineering but often they can be difficult for the younger scientists in our life. Small pieces, challenging assembly, and lack of space to utilize their new learning toy can leave toddlers and preschoolers out of the fun. Learning Resources tackled this issue by creating the Tumble Trax Magnetic Marble Run. 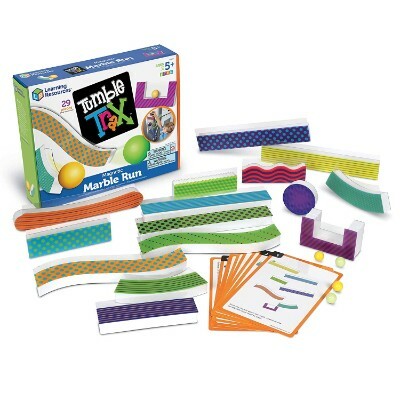 This 29 piece set includes 14 foam track pieces, 4 plastic marbles, and 10 activity cards. Each track piece features a bright and engaging color and design to draw your little one’s focus. 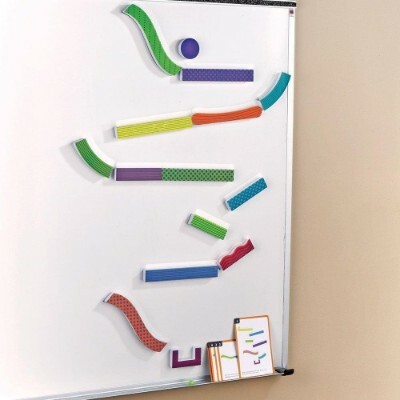 The magnetic backing on the track pieces allows you and your child to build a vertical marble run track on any metallic surface such as your fridge. Several reviewers went so far as buying sheet metal or hanging old cookie sheets up for more play surface. Simply build your track, place the ball, and watch it tumble and roll down while being kept in place by the plastic guardrail along the side of each track piece. With hundreds of build combinations, your child is limited only by their imagination. German technology is renowned worldwide. This know-how is omnipresent in the Quadrilla. You can just imagine the implications of its design on your kid’s development. This wooden run takes on more of a traditional look when it comes to marble runs but with non-toxic materials and high-quality wood, it performs just as well if not better than the others in its category. Its wooden construction makes for a durable and sturdy marble maze and kids will learn the science behind velocity and how various angles and declines help to pull a marble downwards and through each section. If you like the Amaze ‘N’ Marbles but wish there were more pieces or more variations in the building blocks, then you have to get the Quadrilla Wooden Marble Run Construction. There are spirals, ramps, angled holes, and masterfully channeled wooden blocks. The German design as actually inspired by the famed Da Vinci circles which should give you the impression that this is no ordinary marble run. Unlike the others in our list, the open channels on the wooden blocks present a very unique challenge to kids as they need to configure and position the different pieces together very precisely. This helps them develop absolute precision and accuracy in all of their undertakings. The Quadrilla is also a recipient of two famous German toy awards: the Oppenheim Toy Portfolio Platinum and the Spiel Gut awards. Being able to interact with the path of a marble in this run is a big draw for us. It helps kids to cement their knowledge if a toy is hands-on, but it also helps if they can control the outcome or alter it in some way to test their own theories. All marble runs would serve as a great introduction to understanding basic physics through STEM learning, but this run in particular is great at doing that. Because of the options to fully control each marble going down various chutes, kids will walk away with a thorough understanding of how each change in the run affects each marble and its response. They’ll have a blast playing with their friends and trying out different configurations to see which marble makes it to the bottom first, and they can even challenge each other to slow down each other’s marbles or find ways to speed up their own. The set itself is made out of high-quality material that’s built to last and is also BPA-free, making it safe for all ages. It’s fun to put together and not overly difficult for kids who have never played with a marble run before. This would become a great starter set for kids who have a fascination with science and love to conduct and control their own experiments. This is the ultimate run as far as racing run sets go. 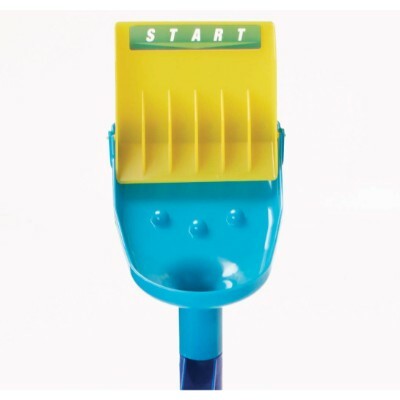 With 46 different pieces in a myriad of fun colors, kids will be able to completely design their own track. 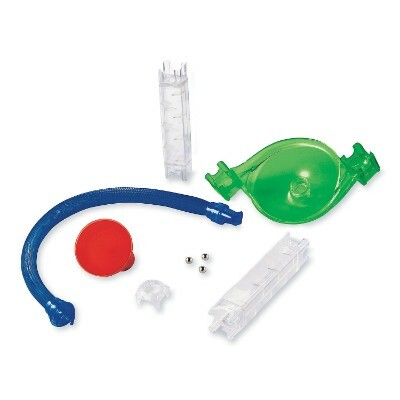 This set makes great use of the ability to speed up marbles or even slow them down and has special inserts to control the pace of the track as a whole. Each obstacle will teach your child something new as far as speed, velocity, resistance, and how to successfully alter an object’s potential energy to control the result. It can be difficult to teach kids about things unless they’re watching it right before their very own eyes. 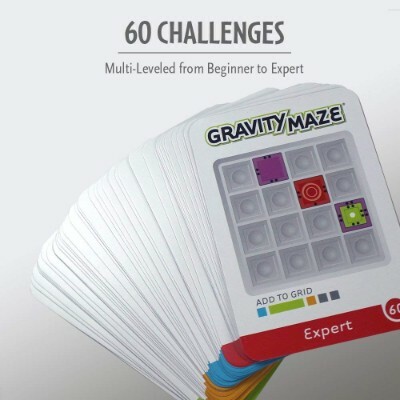 The Gravity Maze provides a method for hands-on learning while still giving them the independence to decide on their own challenge level and figure things out for themselves. The STEM learning is strong with this one! Each challenge varies in intensity from beginner to expert levels, and will progressively improve your child’s ability to reason and use logic to reach a goal. 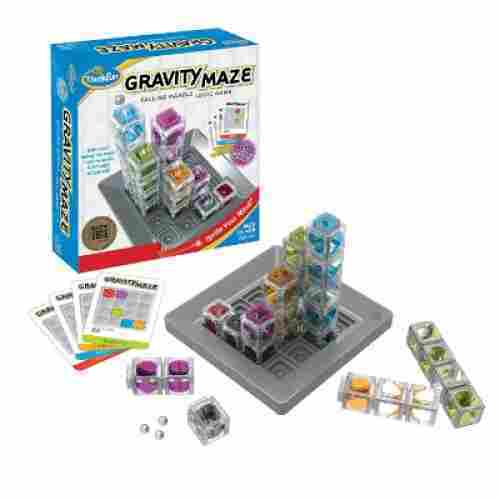 The goal of the Gravity Maze is to use gravity in conjunction with the correct pieces to get the marble to successfully reach the very bottom. This is a wonderful concept because it guides kids on exactly how to use their critical thinking and spatial reasoning skills to follow the activity cards and build the maze correctly. It operates on a rewards system: Set up the correct challenge, put the marble through, and if it comes out the bottom, you’ve won the challenge! It’s simple enough to play with but makes things happen on a mental level, which makes it the perfect educational game for kids. Are you still not convinced that marble runs are for you? In that case, try the Think Fun Gravity Maze on for size! This marble run was created for kids ages eight and up in mind since it is a bit more challenging than a normal run, but it’s full of interesting challenges. 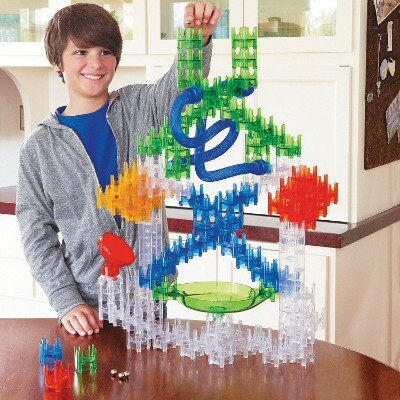 The set comes with a game grid, nine towers, and 60 challenges that range in difficulty that your child will love doing by themselves or with friends. 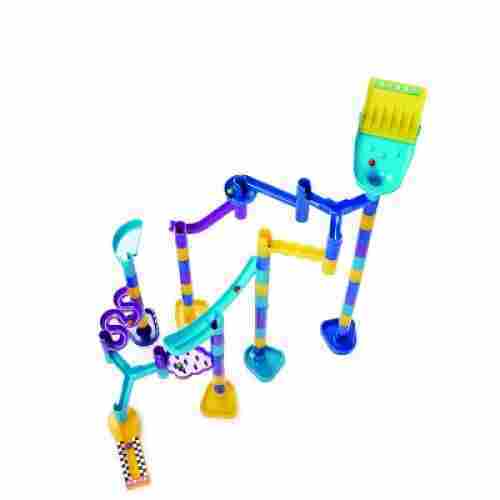 This add-on pack to the popular Q-BA-MAZE marble run can take your little one’s basic track and turn it on its head, added entertainingly fast stunts and tricks to bring new life to a toy that they may have begun to outgrow. Creativity and imagination are key for all marble run building sets but are especially important for add-ons like this stunt set. No instructions are included so it's completely up to your little one how they choose to incorporate these new pieces into their existing build. Coordination and motor control are enhanced through the repetitive motions of constructing these mazes. Cognitive growth is promoted by introducing concepts of physics, gravity, and engineering. 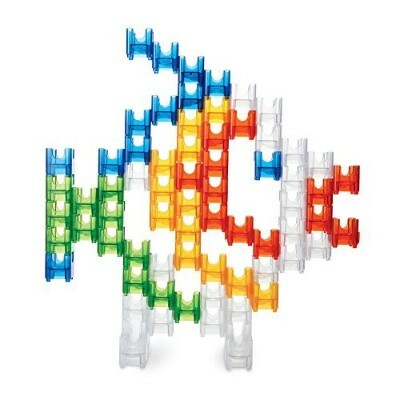 This STEM learning toy is the perfect open-ended design to provide a challenge for a variety of age and skill levels. 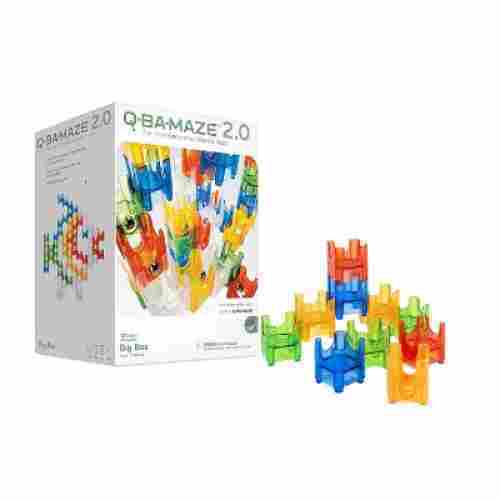 Designed to connect to the Q-BA-MAZE 2.0 cubes, this add-on kit allows your child to create fast and exciting stunts for their marbles to perform. Precision engineered coaster tubes rocket the marbles through the maze at speeds so fast its difficult to follow with your eyes. The vortex cone adds a spinning element that sends the ball twirling rapidly around and around before draining back into the maze and continuing its trek. Encourage creativity and give your child a whole new way to look at marble runs with this stunt set! 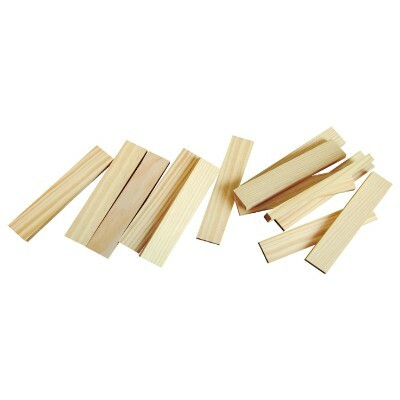 Most marble run sets consist of the same basic parts. Tubes or cubes for the balls to fall through and maybe concave plate for them to drop inside. While there may be dozens if not hundreds of different combinations of build designs for your child to explore, eventually the same old parts and pieces are going to get boring. 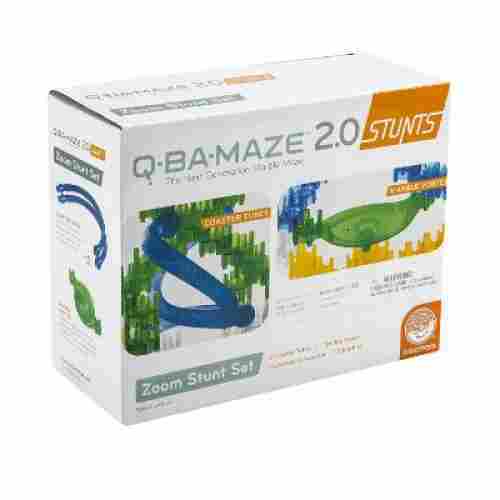 The Mindware Q-BA-MAZE 2.0 Zoom Stunt set can bring new life, and new challenges, to your budding engineer’s existing playset. 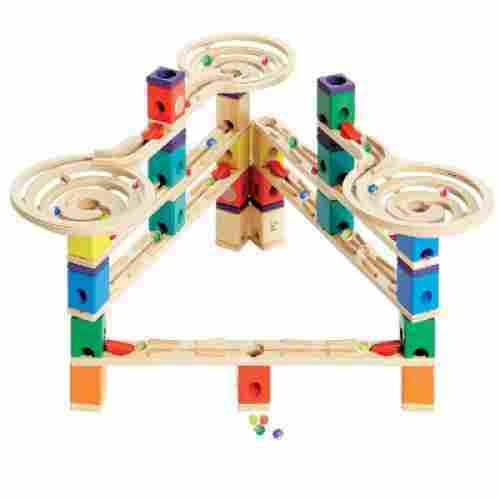 We love that this marble run set encourages creative thinking. It’s great to push kids towards figuring out what works, what doesn’t, and how to create something with all of the lessons they’ve learned from each of the two outcomes. Learning through creativity is a strong way to instill knowledge in your child without them feeling as though they’re being taught a science lesson. 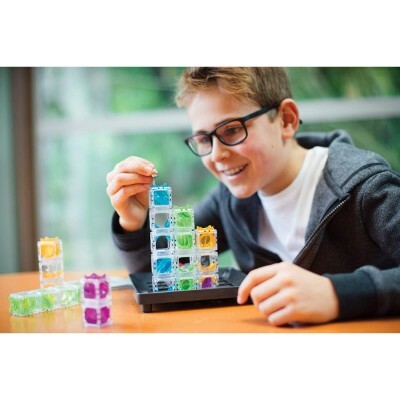 This set allows them to figure out basic physics while improving their critical thinking and reasoning skills to build something all their own. If they can think it, they can build it. Each piece is individually colored to give some dimension and depth to your child’s creations, while each piece is uniform and of equal size to make creations even easier. Your child can create fun shapes, animals, objects, or even just random patterns by simply interlocking each block. When they’re done they’ll have the chance to send their marbles through and watch how their creations come to life and react to what they’ve constructed. 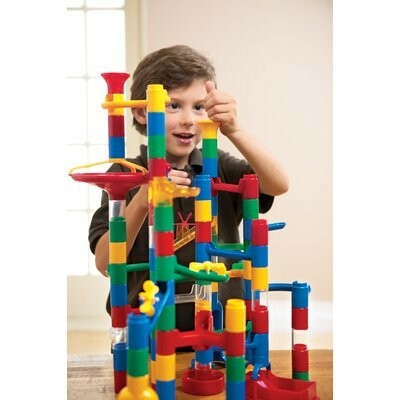 These unique built marble runs offers children a variety of educational exploration. Each of the sets on our list encourage STEM related thinking: science, technology, engineering, math and even art. In addition to those skills, children will also learn about action-reaction, problem solving skills and sequential, spatial and logical thinking. With marble runs children are free to be as creative as they want as these toys promote imaginative, physical and social play. Just by these sets being educational they can be used at home, in a classroom or even at childcare centers. These marble runs encourage patience, hand-eye coordination, following directions and perseverance. Overall, the intelligence of your child could be enhanced as they learn through play while also having endless hours of fun with these sets. Each of the marble runs on our list are practical as they come with everything that your child will need to enjoy this toy. How many times has a parent purchased a toy, but your kid couldn’t properly use it because it didn’t include batteries or a specific part? It’s very frustrating when you don’t have everything that you need. 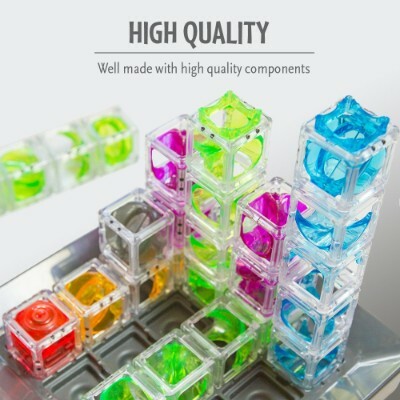 Similar to batteries, which thankfully none of these sets require, each manufacturer provides marbles in the package so that your child will have everything that they need to begin playing. 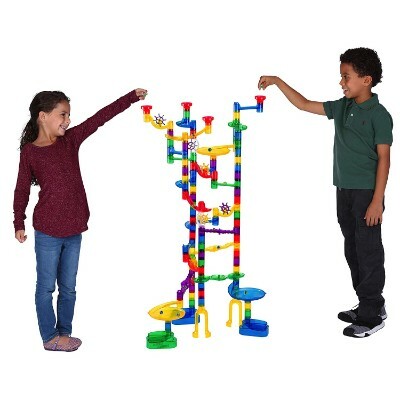 In addition to marbles, the marble run sets also have a plethora of accessories that your child will be able to build captivating structures with. Your kid will never run out of creative ideas and ways with these spectacular toys. Marble runs are easy to clean and sanitize. The last thing a parent wants to do is to have another object around the house to clean. After frequent play, dirt and debris are likely to build up around the pieces that interlock. In order to clean these plastic pieces all, you have to do is spray them down with an eco-friendly cleaner and wipe them off. To sanitize the plastic pieces, simply soak the toys in a warm, soapy solution and scrub them. Afterwards, rinse them with fresh water and allow them to air dry. For wooden toys, we don’t particularly recommend submerging them into water as large amounts of water could cause damage to them. To properly clean wooden toys, spray them down and wash them off as you would do to plastic. To sanitize wooden toy parts, fill your sink or small bucket with warm soapy water. Dip a wash cloth into the solution, wring it out so that it’s slightly damp. You’re going to want to lightly scrub the wooden piece and then use a separate wash cloth to ensure that any remaining soapy spots are gone. Allow to air dry, and it’s just that simple. One of the most important benefits of playing with marble runs by children is the development of their cognitive abilities. There is simply a lot of cognitive processes going on every time a child plays with these kinds of toys. For the most part, their logical thinking will be enhanced as they attempt to piece the different building blocks to create a continuous pathway for the marbles to reach their destination. This requires logic and critical thinking that largely depends on their understanding of cause and effect relationships. By looking at the different pieces, they are able to mentally paint a possible outcome if they are going to position a piece in one particular way. Changing the position or configuration of this building or construction piece can also lead to another “effect.” It is this mental processing of many causes-and-effects that children are able to develop their logic and critical thinking. This can also have a significant implication in their problem solving abilities. By thinking logically and critically, they are able to develop an understanding of the essence of a scientific process. This can help them process other more complex problems in the future as they now have a very rudimentary yet effective understanding of such concepts. Children’s spatial intelligence can also be enhanced by these types of toys. This gives them the opportunity to define the relationship of an object with the space around it. Dropping marbles into the holes of these playsets simply mean kids will have a good spatial sense, not to mention good hand-eye coordination as well as superb control of fine motor skills. Marble runs, like building and construction playsets, are beneficial to your child’s development. We hope you have found something from our top 15 marble runs that you think your kid, or even the rest of your family, will love. Coming up with our list of the best marble runs was not an easy task to do as there are hundreds of them in today’s market. We looked at product reviews and ratings and considered to come up with a much shorter pool of products that will be easier for parents to look through. 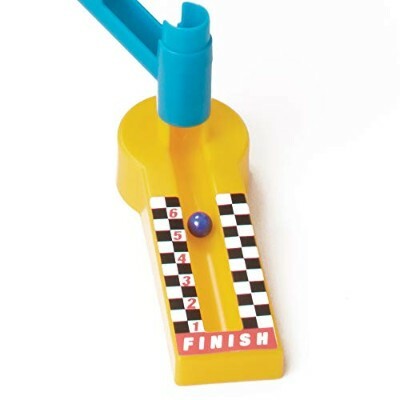 Each of the listed marble runs was then put through a lengthy test of evaluation using a variety of methods. Mainly we also considered developmental appropriateness as well. We also had to look at the manufacturer’s recommended age and determine whether the complexity of the play set was appropriate for the child’s developmental age. Carefully, we also evaluated other features of each product to determine how they would fit in a child's need to develop his or her true potential. Safety was also a concern. Since most of the products we evaluated are made of plastic we needed to make sure that none of the materials that each product was made from or finished with a variety of chemicals that could undermine the health of any child. The company's trustworthiness was also taken into consideration into our list as this can help customers give the peace of mind that they need regarding the quality and safety of the products we have listed above. We know for a fact that each manufacturer on our list is a high reputable organization and will never do anything that would tarnish their good image. 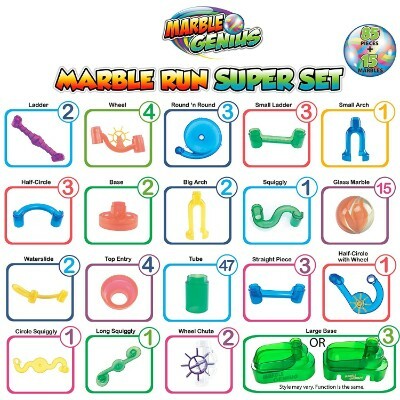 q: Are marbles included in the sets? Yes, each set that we listed comes with marbles included. Some sets only do well with the marbles that are provided, so if you need more you may have to contact the manufacturer. Many of the sets fair well will any kind of marbles, which will keep the cost of buying more marbles down to a minimum. Or even better, if your kid already has marbles, they could use those. q: Can the marble runs be used in a classroom setting? Yes. 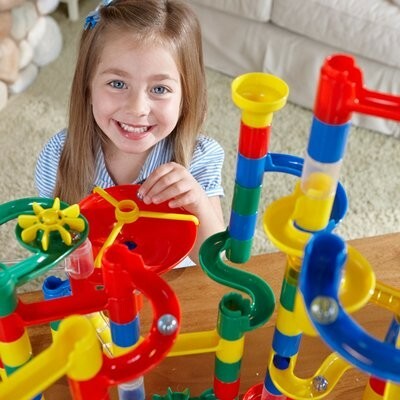 The marble runs can be used at home and in classrooms. All of these sets promotes educational subjects such as science, technology, engineering, art and math, and could easily go along with daily lesson plans or free time at the end of class. Simply put, STEM in an acronym for science, technology, engineering and mathematics. Marble runs are great for cultivating a great interest in these subject areas, as the educational aspects are very hands on and promote logical and spatial thinking, as well as problem solving skills. q: Does these toys present any hazards? Yes. Each toy contains marbles. Marbles are very small and could easily be mistaken as food for children who are 3 years and younger, which presents a choking hazard as the marble could become lodged in your kid’s throat and restrict breathing. These sets should not be played with by kids who are 3 and younger. Additionally, even if your kid is older than 3, depending on their individual development, parental supervision may be needed to prevent any mishaps. q: Are instructions included with each set? The Ideal Amaze ‘N’ Marbles 60 Piece Classic Wood Construction Set and theHape Quadrilla Wooden Marble Run Construction set includes instructions. 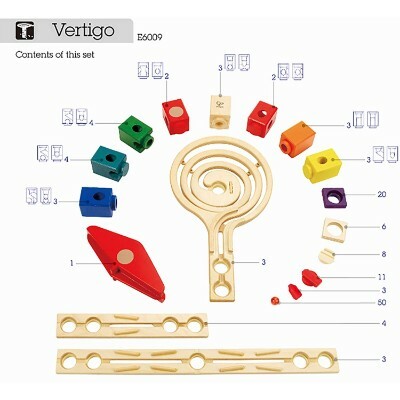 The Marble Genius Marble Run Super Set also includes instructions, but they are only accessible online. The other marble runs listed above do not. This could be a positive thing for the fact that of instructions aren’t included, or gives kids the freedom to be wholly creative, by building their own designs. In contrast, this could be a negative aspect for kids who enjoy and work best when following a guideline.